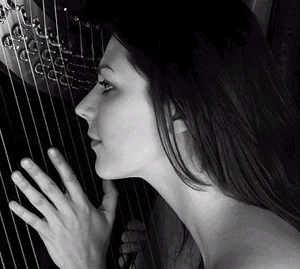 Camilla provides beautiful harp music, one of the most popular forms of background music for events. The warm, gentle and sensual sound will effortlessly create a sophisticated and relaxed ambience, over which conversation can flourish. Camilla began playing the harp at the age of eight. She was a music scholar at the King’s School, Canterbury and was awarded an entrance scholarship to the Royal Academy of Music, where she graduated with honours. She now enjoys a highly successful and varied career as a harpist; working with orchestras, chamber groups and as a soloist. 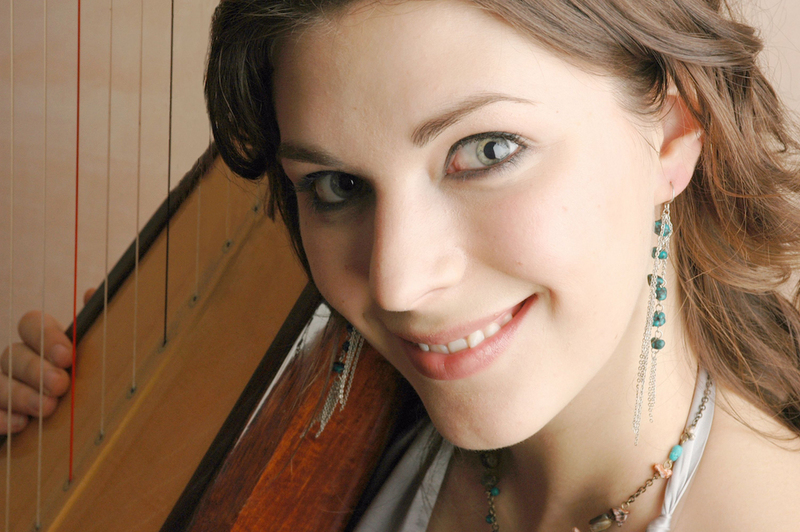 She has played principal harp with the Royal Philharmonic Orchestra and has performed many concertos, both in Britain and abroad. Her extensive range of fund-raising concerts in Kent was recognised by an invitation to the Queen’s Garden Party. Olsen Cruise Liners have invited Camilla on numerous occasions to give recitals on all of their fleet and she has performed aboard the Black Watch sailing from Tahiti to Barbados. Her session work has included album tracks for Morrissey and Incognito, and includes television performances with Natalie Cole, Aled Jones and Hayley Westenra. This year she played with Barry Manilow at Blenheim Palace and recorded a BBC special with him. Recently, she has accompanied soprano, Katherine Jenkins live on ITV and will be part of Michael Bublé’s big band on ‘Parkinson’. 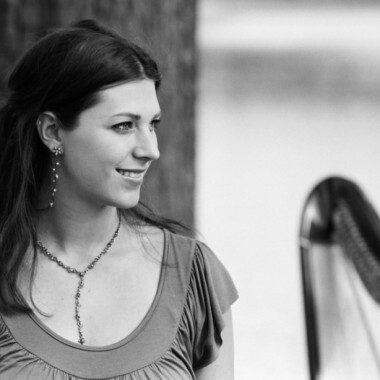 Vastly experienced in the field of background music, Camilla enjoys showing the versatility of the harp with her wide repertoire, ranging from classical and folk music through to songs from the shows, jazz and pop. She performs at a wide variety of functions for many top class hotels including Claridges, The Landmark, The Dorchester and The Mandarin Oriental and has entertained Royals (Prince Charles, Prince Andrew, Prince Philip and Princess Anne), Politicians (Tony Blair) and celebrities including Cilla Black, Gloria Hunniford and Barbara Windsor. During the past seven years, she has also held long-term residencies at the Grosvenor House Hotel and Park Lane Hilton, and has been harpist to the Langham Hotel.